BNTY Senior is our youth group for kids in grades 9 through 12 that meets every Monday from 8:30-10:00 pm, right after Hebrew High School. 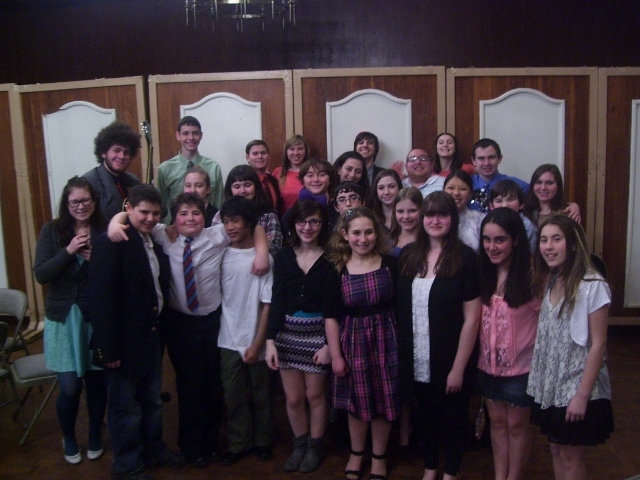 BNTY, one of the largest and most active youth groups in Nassau County, is dedicated to enriching the lives of Jewish teens through participation in weekly programs, Friday evening services, mitzvah projects, and events stressing Judaism and social awareness. Through BNTY’s affiliation with NFTY (North American Federation of Temple Youth), BNTY members are able to participate in all NFTY events which include weekend kallot, Social Justice Day, and NFTY Biennial. Each week, BNTY senior runs different programs that are written entirely by its board members. These programs can include anything from ice cream “mondaes” to social action projects to serious discussions about world issues. BNTY offers teens a safe place to participate in fun and interesting programs, partake in community service, expand their worldview, hang out with their friends, and get involved with a wider Jewish community through NFTY. This year we are all about making a change through social action and promoting the BNTY name along the way. Words can only do so much to convey what BNTY really means, so come down and check us out. Together we can and will make a difference.